It’s been four weeks since Google released Penguin, its most significant algorithm change since Panda. Penguin has affected around 3.1% of English queries since its release on 24th April. You may be wondering how this affects your business – keep reading to find out! Unlike other Google algorithm updates, Penguin’s primary focus is not improving the quality of search results for users – at least, not directly. Rather, Google is targeting web spam and websites that do not comply with its published guidelines. Many “good” websites have been negatively affected as well, even if the quality of links is only mildly questionable. Even the E-Web website, which has held the #1 spot for the term “SEO” for years, has yo-yoed up and down Google’s rankings – up to seven times in one day. Ultimately, Google wants to reward and promote reputable websites on their terms, but in the process many high quality websites have been punished for having unnatural links built to them. An extreme case is the search results for “buy Viagra”, historically one of the spammiest online niches. Some of the highest ranking sites are unrelated to the industry or even inactive. Clearly, this change still requires some fine tuning. As time goes on, we will continue to research and respond the effects of Penguin. Content is king – update content on your blog frequently, and if you don’t have a blog, now is the time to make one! If your rankings have been negatively affected by Penguin, you can submit this form to Google. Penguin has reinforced that SEO is a long term process. Shortcuts are no longer passable and black hat SEO tactics are a thing of the past. Now more than ever it’s important to think of long term content strategies that deliver what your target audience wants. 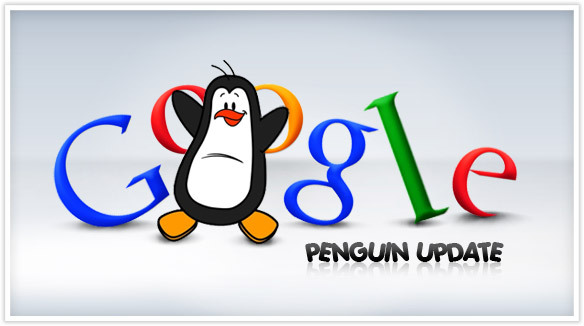 We can expect that Google will roll out some Penguin updates in the near future. Stay tuned – we’ll be sure to keep you up to date with the latest Penguin news! But then again, e-commerce sites.. who puts a natural link to them anyway? I can’t say I have other than to say Adobe and then in that link I just put the text ‘Adobe’ (does it need anything more, clearly now it will need a content writer to write even blurbs for links now.